View Catalog Preview and other items featured at the next sale! OUR NEXT SALE WILL BE MAY 18, 2019! The following is a Catalog PREVIEW only- it is updated every few days as consignors pay their fees and send in photos and information. CHECK BACK FREQUENTLY! 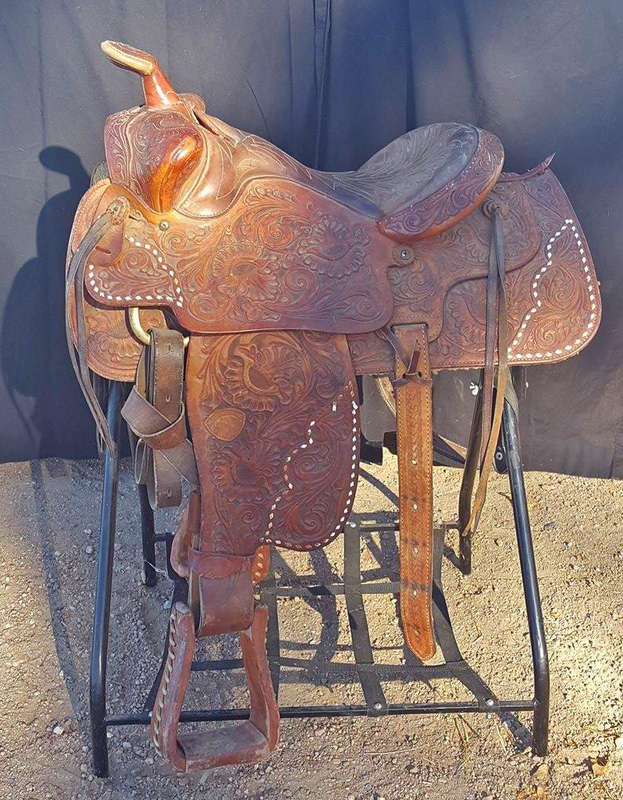 Please click the button below to view the sale catalog for the february 23, 2019 sale. Sale order is lot# . 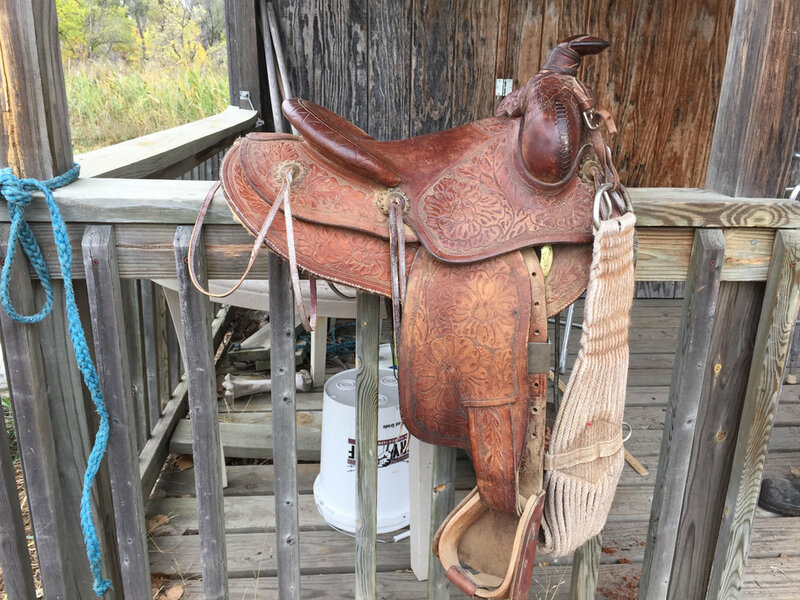 Please note, Horse Creek Sale Company will no longer host a saddle/tack sale. We will be focusing on quality performance horses and performance horse prospects. Thank you to all saddle and tack customers from past sales, we appreciate your business! THE NEXT SALE WILL BE HELD ON NOVEMBER 10, 2018 IN CASTLE ROCK, CO AT THE DOUGLAS COUNTY FAIRGROUNDS. THIS IS THE SALE CATALOG, HIP NUMBER IS SALE ORDER NUMBER! The next sale will be held on September 15, 2018 in Castle Rock, CO at the Douglas County Fairgrounds. Please click the button below to view the Sale Catalog. Sale order is hip #. If you have previously visited this page, please refresh your browser each time to make sure you're seeing the most recent update! ATTENTION CONSIGNORS: A VERY important email was sent to you 9/9/18 5:56pm MST. MAKE SURE you have read it!! 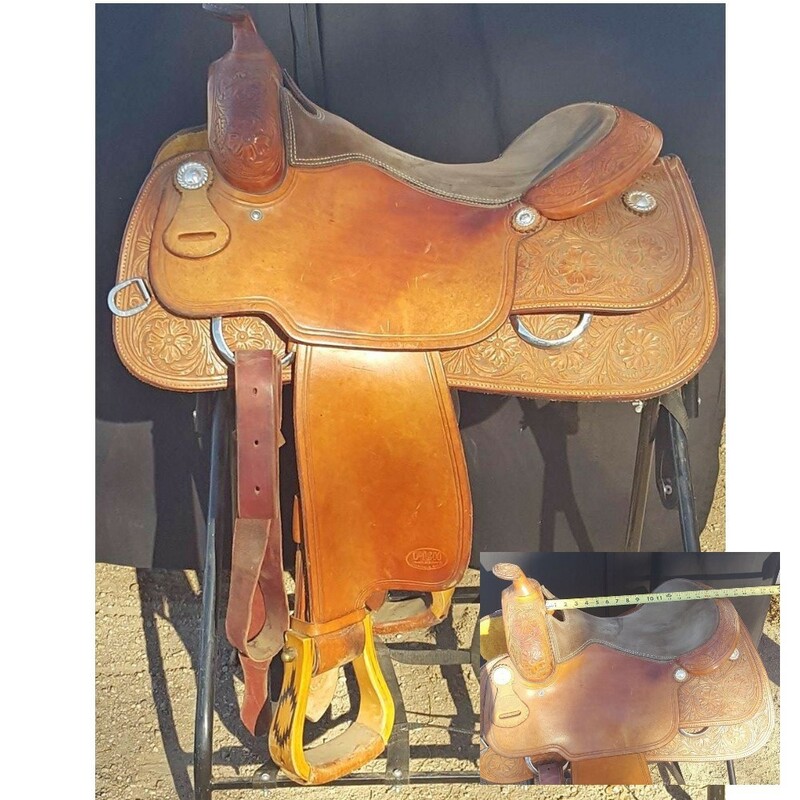 14” MARTIN SHERRY CERVI Excellent condition Martin Sherry Cervi fully tooled. 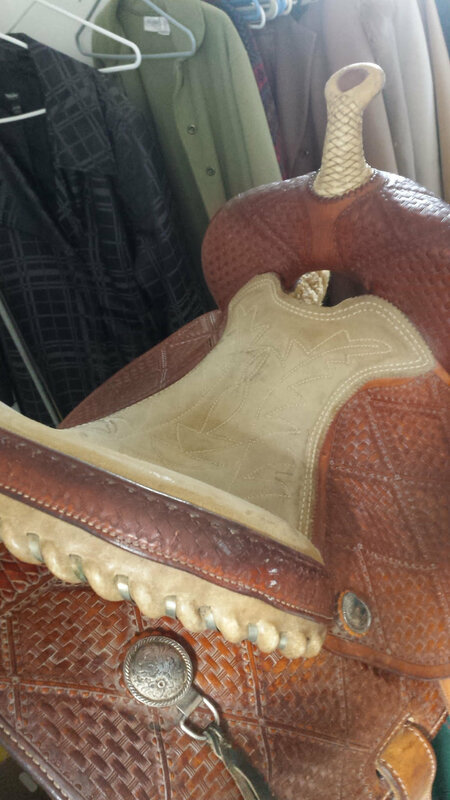 14" CACTUS BARREL SADDLE Excellent used condition. Fully tooled skirt, swells and billets. 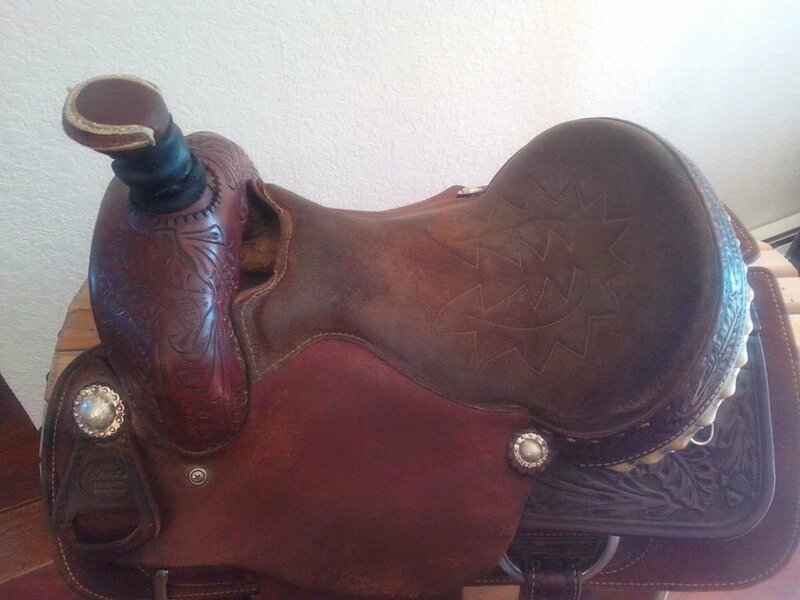 Tooled cantle trimmed with rawhide and silver whip stitch. Roughout jockey and fenders with tooling on the edges for a finished look. Forest green suede seat. 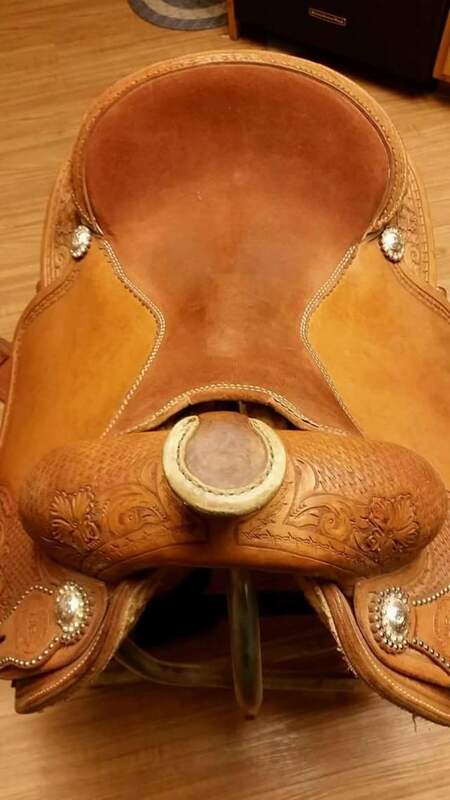 Six silver conchos. Full QH bars. Fleece in excellent condition. Weighs 28#. 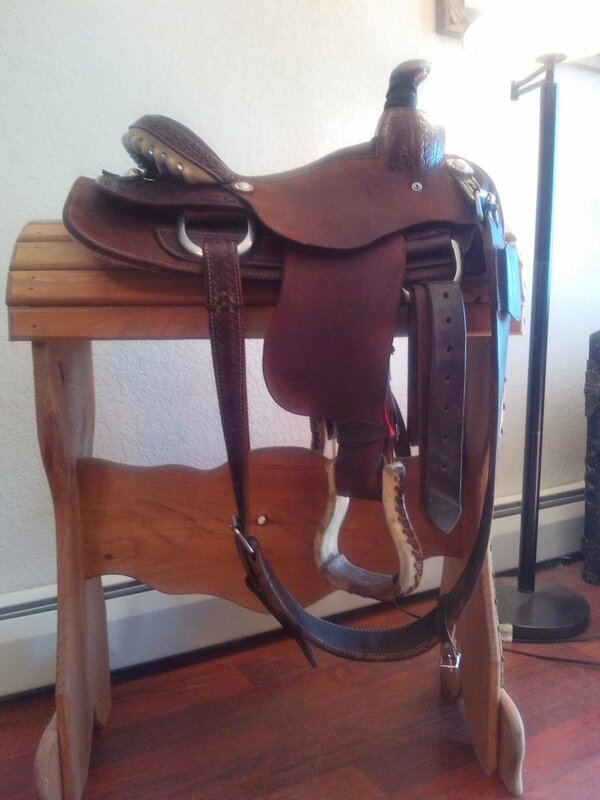 This saddle fits a horse very well and is extremely comfortable. 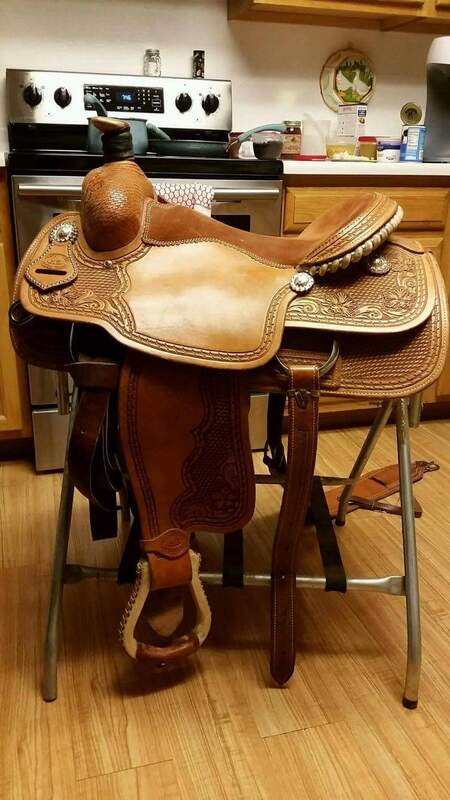 It's a beautiful, well made saddle from one of the best brands in the industry. November 11th is going to be Cowboy Christmas for the collectors at Horse Creek Sale Company! We are pleased to again welcome back Ron Berndt and his collection of western art for the November 11th Horse Creek sale. Mr. and Mrs. Berndt were long time owners of a western art galleries in Oklahoma and Texas, and Ron will be bringing some of his high quality, framed and matted artwork to the sale. MOST ARE PROFESSIONALLY MATTED AND FRAMED, MANY ARE SIGNED AND NUMBERED LIMITED EDITION PRINTS by artists such as Tim Cox, Chris Owen, Robert "Shoofly" Shufelt, Steve Devenyns, and more! A highlight coming to this sale is “The Strength of Eagles” print by Howard Terpning, An American painter and illustrator who is one of the most lauded painters of Western art and widely considered to be the foremost Native American painter in the contemporary scene. Start making your list, and checking it twice- this is an unmatched gift buying opportunity for the Western art collector! Bob Scriver was a Montana Sculptor who was born on the Blackfoot Reservation in 1914. He started sculpting in 1946 , and specialized in Western subjects. He was inducted into the Cowboy Artists of America in 1967. during his long career, he created over 1000 sculptures. He was adept at capturing the spirit and essence of rodeo and was also recognized for his classic sculptures of the Blackfoot Indians. In 1969, in recognition of their high regard, the Blackfoot honored Scriver with the Little Dog Thunder Medicine Pipe. In 1990, he was presented the Governor’s Award for Distinguished Achievement in the Arts in Montana. His sculptures are in Museums and Historical Societies all across the country. This Sculpture, “Morning Warm-up” was created for a friend of his by the name of Paul Masa in 1974. We acquired this bronze by the family of my Brother-in-law, after he passed away. THESE ARE A FEW OF THE SADDLES WHICH HAVE BEEN PRECONSIGNED - THERE WILL BE A LOT MORE ON SALE DAY! 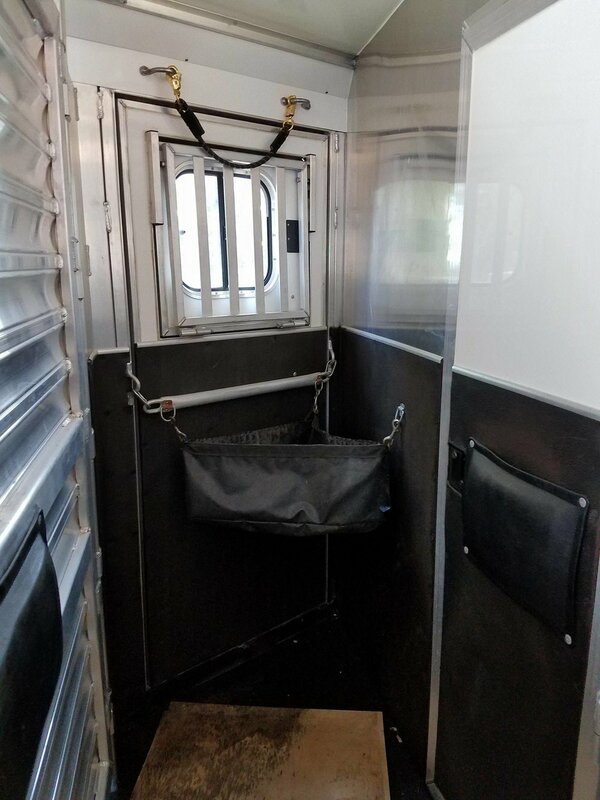 Travalong 5 Horse trailer w/ dressing room sells November 11th at Horse Creek Sale! Floor in great condition, regularly maintained, clean and ready to haul. Lots of room, have hauled drafts in it, very solid. Trailer is 24 feet long. With the gooseneck add 7 feet, The back door is 80 inches tall and 37 inches wide. Very large dressing room with a roof vent and three sliding windows, full mattress fits in nose. 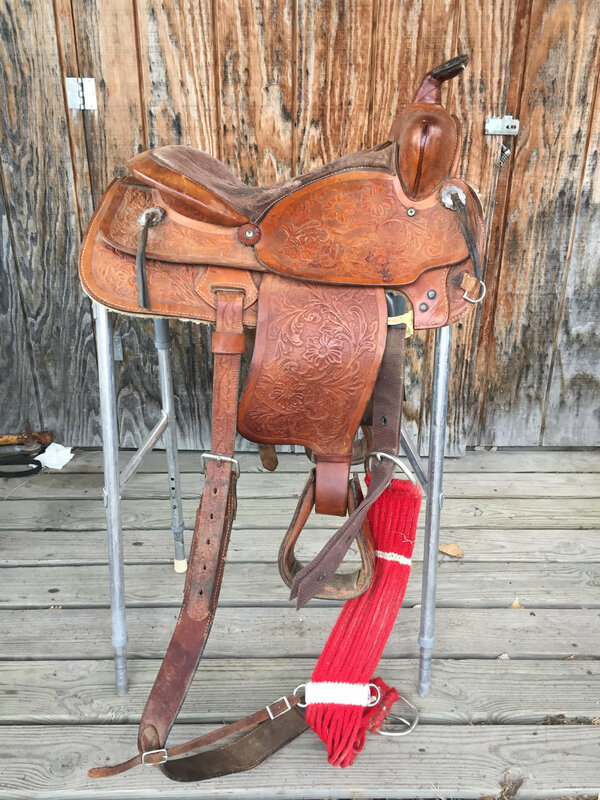 4 saddle rear tack, lots of bridle hooks. Drop down windows on drivers side, bus windows on passenger side. Bearings packed yearly, brakes replaced spring 2016, new jack. Clean trailer, clean title and ready to go! Please note, this is a CATALOG PREVIEW. This Preview does not indicate sale order. 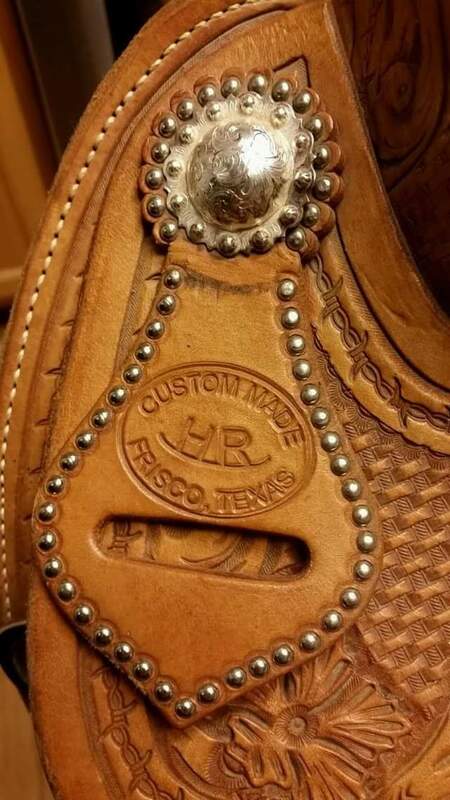 This Preview is a work in progress and will be frequently updated as consignors send us photos, videos, information and pay the consignment fee. Check back often! You may need to refresh your browser to view latest updates. 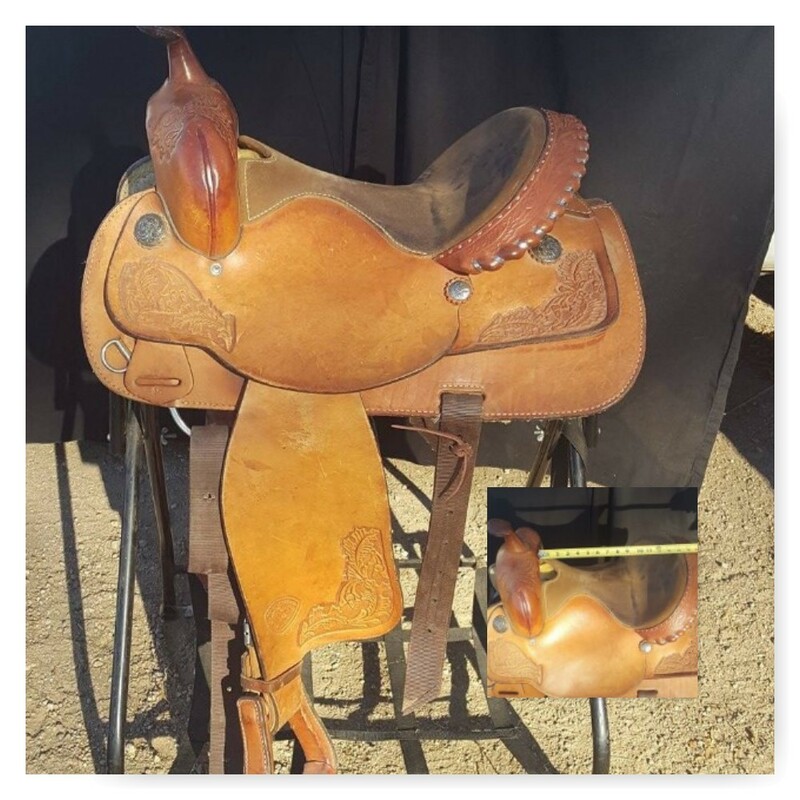 **PLEASE NOTE, WE WILL NOT BE ACCEPTING TACK CONSIGNMENTS AT THE SALE. 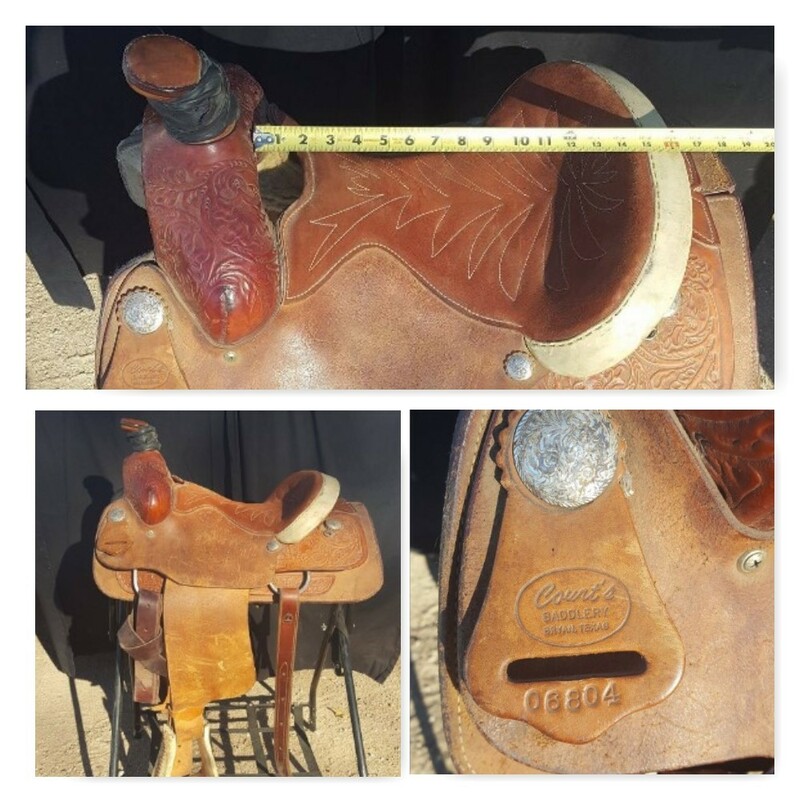 SADDLE CONSIGNMENTS ARE WELCOME FROM THE PUBLIC. Videos provided by the consignors are linked in the catalog, and are available on our YouTube Channel. This trailer sells at auction, September 9th! 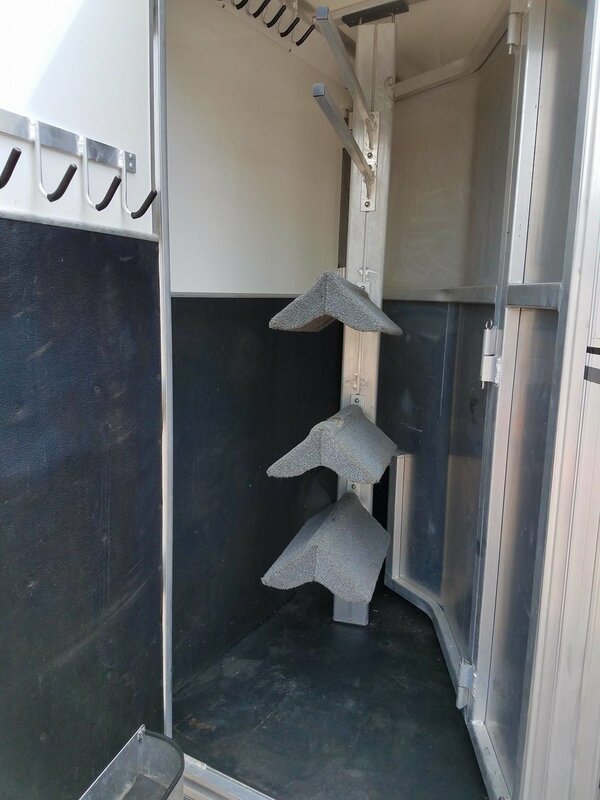 2005 Cimarron Norstar 3 horse slant gooseneck trailer with back tack and dressing room. The dressing room is a 6’ short wall with factory installed air conditioning and heat. The interior is ready for you to finish as you like! Also includes battery packs, 14’ awning, new tires. 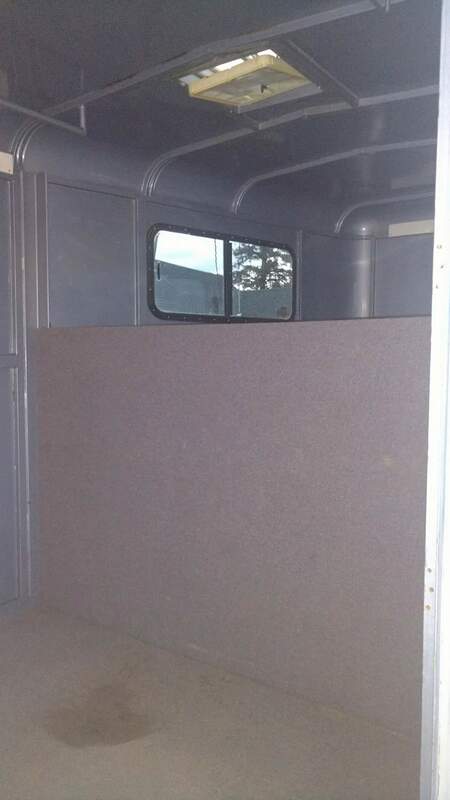 This trailer is nearly BRAND NEW– it has been used a total of 10 times— look at the photos! Trailer will sell at the conclusion of the tack and saddle sale and before the horse sale. Tack and Saddles on September 9th! 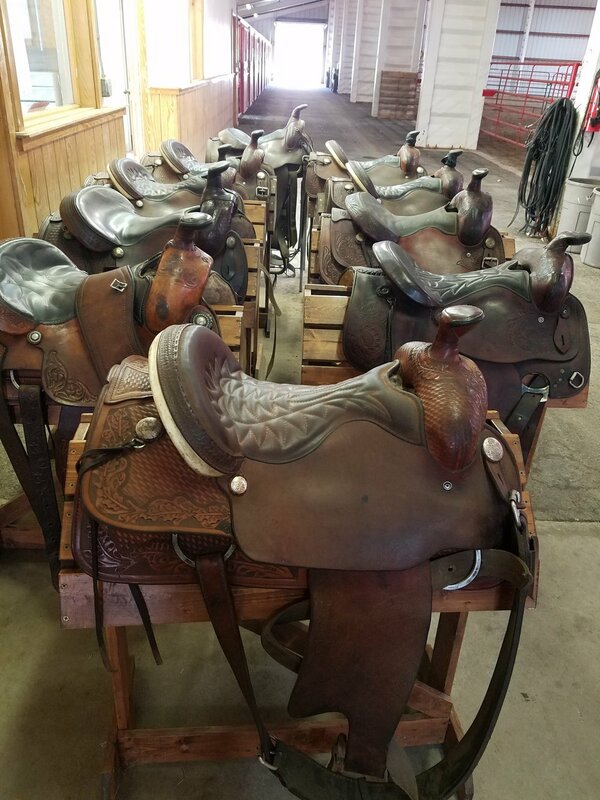 THE TACK AND SADDLE SALE WILL BEGIN AT 11AM AFTER THE PREVIEW! 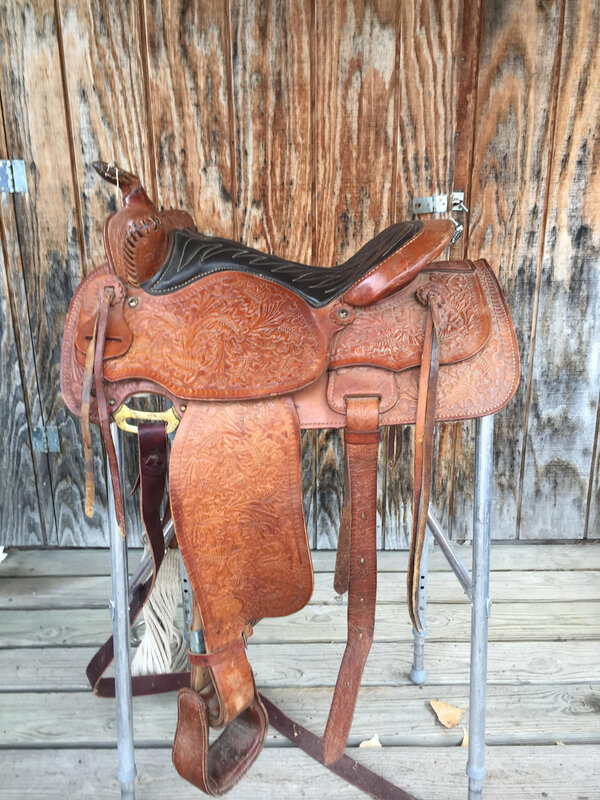 *Please note, we will NOT be accepting tack consignments at the sale. Copies of this catalog will be available at the sale. Hip# indicates sale order. You may need to refresh your browser to see the updates. Push F9. We're in the process of uploading A LOT of videos. Please visit our YouTube channel frequently! *THERE WILL BE A PREVIEW AT 9:30AM WITH ROPING CATTLE! *THERE WILL BE A PREVIEW AT 9:30AM! Whether or not there are cattle used, will be dependent upon arena conditions at the time, but there will be a Preview either way! Videos of November 12th horses! 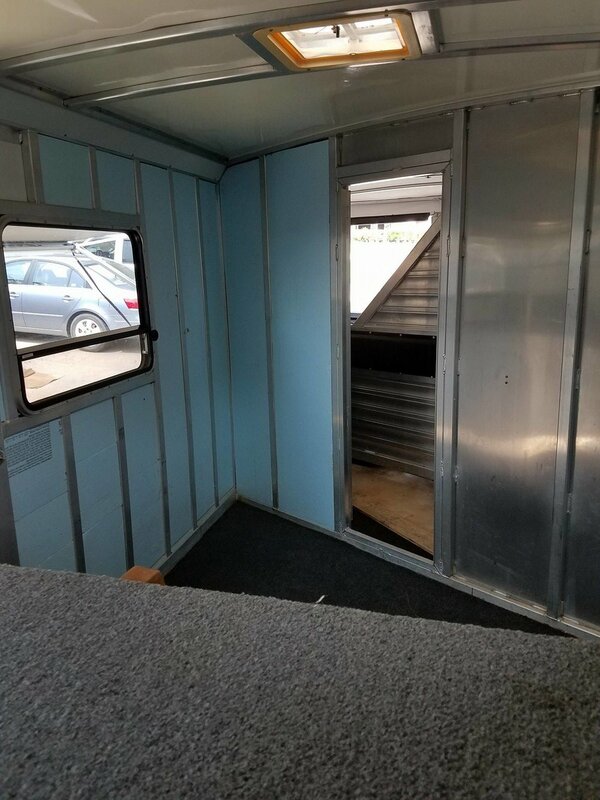 1983 stock 2 horse with modified tack room! 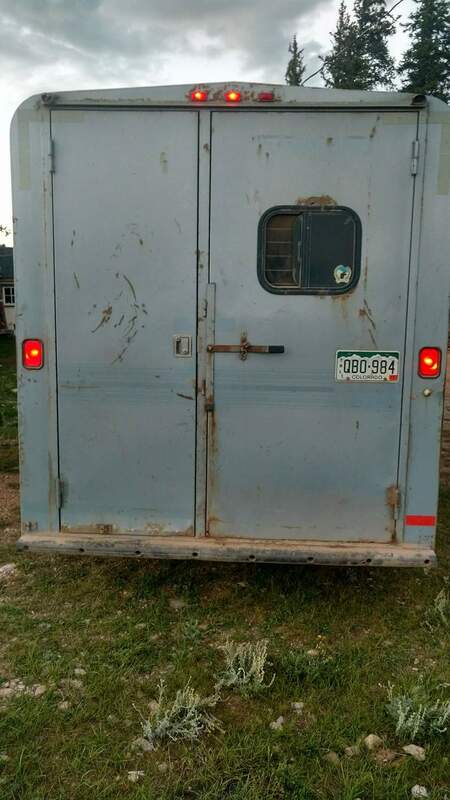 2 horse trailer great for hunting or weekend riding. 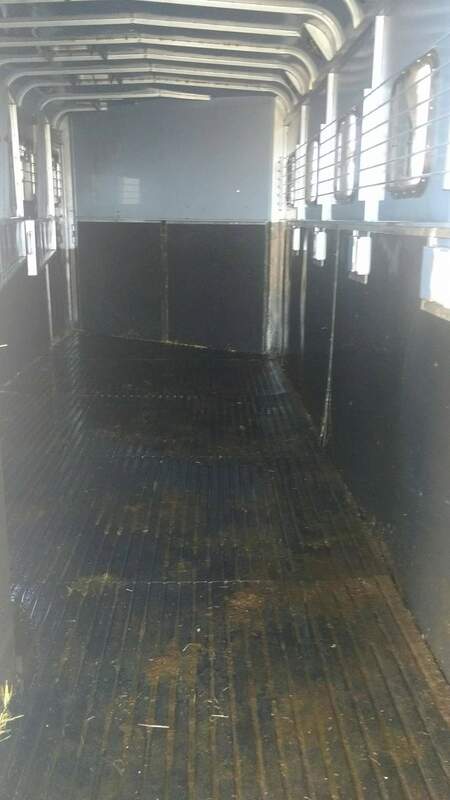 Very roomy and clean with cooking unit, table, sleeping area, and places for all your tack. Will haul large hoses very comfortably with feed bunks. Clean CO title! SELLS NOVEMBER 12TH IN CASTLE ROCK, CO at Horse Creek Sale Company!